You certainly do not want to plant a fruit tree and never get to taste the fruit of your labor. Though long, cold winters may limit the options for fruit trees in South Dakota, several fruit trees are suitable for the climate. Plant one or two-year-old fruit trees in weed-free, well-drained soil to create the best growing conditions possible. 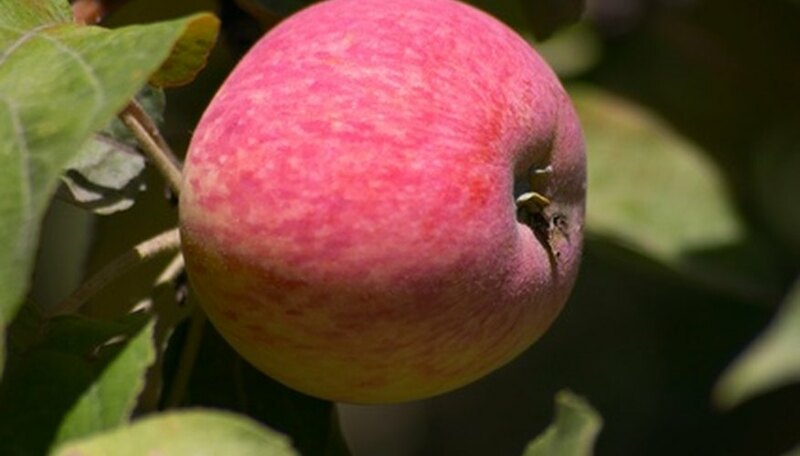 The most popular fruit tree in South Dakota, the apple tree is often a sure bet. Whether apple tree growers want apples for out-of-hand eating for cooking, they have several varieties to choose from. Consider how quickly you want apples to mature, as well as resistance to disease, when selecting your apple tree. Pear varieties such as Parker, Ure and Golden Spice should mature by mid-September in South Dakota. The Ure, one of the best pear trees from Canada (according to Cass County Extension), yields small green to yellow fruit with white, creamy flesh. Golden Spice produces a tart pear especially good for canning. Parker, though not quite as hardy as the other two, is still a decent choice. Its fruit is equally suitable for fresh eating and canning. European varieties of plums, rather than Japanese ones, grow better in South Dakota, according to the South Dakota Cooperative Extension. Hybrid plums require cross-pollination so two different cultivars must be planted. Plums are susceptible to the disease black knot disease, which tends to be difficult to control. Planting tart, self-fruiting (i.e., no cross pollination required) cherry trees is an option in South Dakota. Select one of the three cherry varieties recommended by South Dakota Cooperative Extension: Mesabi, Meteor or North Star. Growing hardy varieties of apricots, Sungold and Moongold, still proves to be a bit of a gamble in South Dakota. But planting both varieties together on an east-facing slope may increase the chances of getting an apricot crop, the South Dakota Cooperative Extension advises. The challenge comes from later spring frosts, which, if they occur, kill blossoms and wipe out that year’s crop.